Client Coronation Property Co Pty Ltd. The redevelopment of the site proposes a 56-storey mixed-use development with a café, two restaurants, function room, five star hotel for 260 rooms and 300 residential units. The site is conveniently located within the heart of the Parramatta CBD adjacent the Riverfront Precinct. 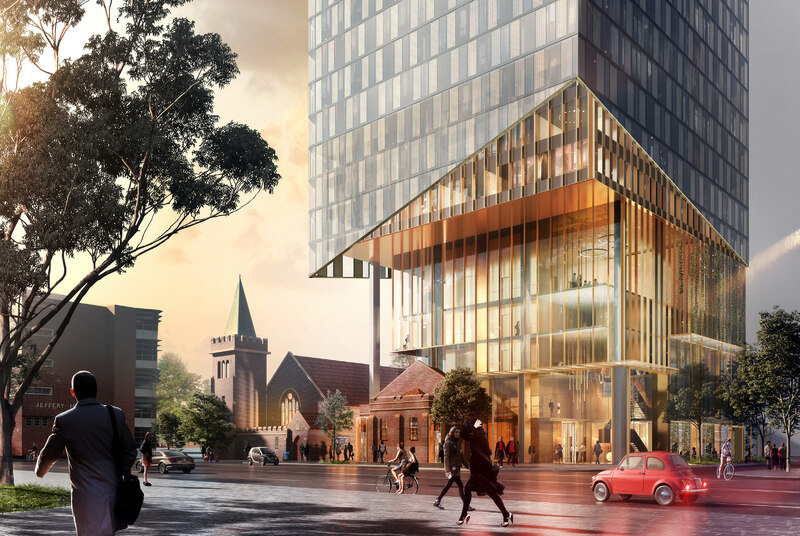 The development will be a key part of unlocking access constraints on and around Philip Lane and will not only provide major public benefits in its own right but also assist in the achievement of complimentary developments on other nearby sites in the heart of Parramatta. The development will activate the public domain, revitalise eat street and deliver the Phillip Street entertainment precinct by providing a mix of retail uses at ground level,high-qualitypublic spaces and laneway, pedestrian access links. Further, future residents and hotel patrons will contribute significantly to the local economy and act as a catalyst for delivering a thriving night time economy. Currently preparing a Statement of Environmental Effects for a Development Application.